If you are considering bankruptcy but not sure if it is the right option for you, there are a few things you should consider. We know that there are many different avenues you should explore before filing for personal bankruptcy and that this process can seem overwhelming. Three steps to take before filing for Bankruptcy. Step One: Before you file for bankruptcy you will want to gather all of your financial information so you know what your expenses, income and total debts are. Step Two: Contact a bankruptcy attorney and setup a consultation to find out what your legal rights are and if filing bankruptcy is the right step for your finical situation. Bankruptcy laws have become so complex that experts say consumers should not attempt to file by themselves. Step Three: Bring all of your finical information to your consultation so your attorney can assess your situation and advise your specific situation. During your consultation with an attorney, you can expect to answer questions and fill out forms. Having a bankruptcy attorney will provide you with the personal attention and information. By talking with a professional about your specific case, you will know that someone is reviewing your personal situation and giving you individual advice. 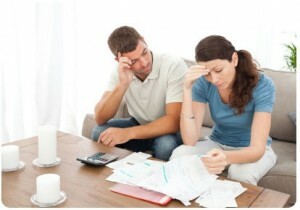 Bankruptcy questions can lead overwhelming information. Bankruptcy is an unfamiliar process for most people and many people know very little about bankruptcy, other than that it’s an undesirable and embarrassing situation. There are thousands of questions and a flood of answers, and it can be hard to know where to turn for sound advice. As a bankruptcy attorney, I understand completely. It’s my job to know what you’re going through and how to help you. Filing for bankruptcy not going to be an easy process, but having the right counsel will do much to restore your peace of mind. And, for those in the Kansas City area, we at the Law Office of Leslie A. Williams hope you will trust us with that call. Leslie’s normal office hours are 8:30 am – 5:00 pm. Please feel free to call as anytime to leave a message at 816-533-4331, or you can come into the office in Blue Springs. You can also use our web submission form, and you will be contacted regarding your legal issue.